If you haven’t been through the experience, you likely know someone who has–trailing a driver you believe to be drunk. It is natural to be concerned about the safety of the driver, as well as pedestrians, cyclists and others sharing the road. For witnesses, this may result in phoning 911 to report a suspected drunk driver. 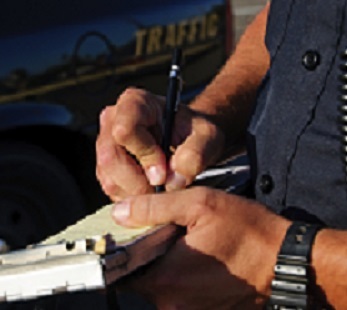 But, do police officers have the right to pull a driver over based on an anonymous tip? This was the question before the Supreme Court this week and the justices returned a 5-4 decision declaring that the police can stop and search a driver based solely on an anonymous 911 tip. While civil rights activists argue that the decision opens the door for abuse of power and infringements upon individual liberties, it does have the potential to stop future drinking and driving accidents. Our Boston drunk driving accident attorneys are committed to helping victims and families of drunk driving accidents pursue recovery after injury or wrongful death. In addition to advocating for our clients, we are also committed to raising awareness about trends and developments in local, state, and federal law that may impact our communities and the rights of motorists. The case was based on an August 2008 arrest after an anonymous caller in California tipped off the police to a suspected drunk driver. The caller gave specific information about the alleged drunk driver, including the make and model of the car, as well as the license plate. Police identified the vehicle and stopped the driver, smelling marijuana as they approached the vehicle. Inside officers found 30 pounds of marijuana and arrested the driver. The driver was charged with drug crimes and his lawyers challenged the arrest on the grounds that the search and seizure was unconstitutional. Unlawful search and seizure cases turn on whether the police had probable cause to stop and search an individual, car, home, or other property. The defendant’s attorneys argued that the officers did not have reasonable suspicion because they had no first-hand information about the reliability of the caller or anything specific about the driver. The Supreme Court has previously held that police can make stops based on anonymous tips but the callers must provide details to give rise to reasonable suspicion of criminal activity. In this case, the caller claimed she was forced off the road and believed that the driver was drunk. According to the court, relying on callers is constitutional because it is based on reasonable belief that the driver of the truck was drunk. This case now gives police new authority to rely on anonymous callers to make necessary stops and arrests. For victims of drunk driving, identifying someone who is drunk behind the wheel always happens too late. The new ruling could give eyewitnesses and local authorities more power to stop those who are believed to be drinking and driving. If you or someone you love has been injured in a drinking and driving accident, you may be entitled to significant benefits. An experienced drinking and driving accident attorney can review your case, identify responsible parties, and pursue your rights to financial compensation.